Any and all unanticipated side effects, undesirable or unexpected outcomes from medical treatment do not automatically justify a claim for medical malpractice. Likewise, it is not a medical malpractice claim if your doctor has a bad attitude or acted like a jerk during the course of your treatment (I wish it was). The law is VERY specific, so the facts of a particular medical malpractice claim must all fit together like pieces of a puzzle to prove successful. But each year over a hundred thousand people die from medical malpractice, and hundreds of thousands more suffer permanent, disabling injuries from medical errors. Many medical errors are avoidable, so when all puzzle pieces fit together, a medical malpractice claim can prove substantial. Unfortunately, I have clearly noticed a significant rise in the number of calls I receive regarding cases of potential medical malpractice. Also unfortunate is the fact that a medical malpractice case is the most difficult case to win – in my opinion. 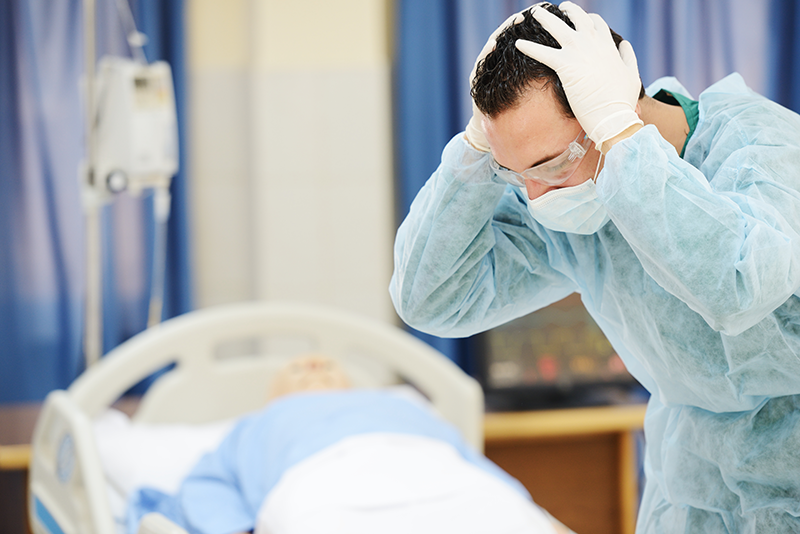 The law says that medical malpractice occurs when a health care professional “fails to exercise the same level of care, skill, or diligence that is normally exercised by other professionals in the same specialty or school of practice, thereby causing injury or death to a patient.” In regular English, this means is that a person must prove the health care professional did something (or failed to do something) that was the CAUSE of the injury or death. As stated above, not every bad experience with a doctor or hospital amounts to medical malpractice under the law. However, if you believe that you or a loved one has been the victim of medical malpractice, it is important that you contact an attorney as soon as possible who knows what to look for to determine whether your case should be brought forward. That’s where the Outlawyer comes in to help! Cases that involve any abuse or neglect of the elderly trouble me the most. Other than children, the elderly deserve the highest protection within our society. Birth injuries can alter a child’s quality of life forever. These are very emotional cases to work on. Most times, a birth injury will require a life-time of medical treatment, regular nursing care as well as future medical needs. It is truly amazing to me how many injuries are caused by the improper distribution of medication. It is scary to think about how many pharmacy transactions take place every day. Pick the phone up and CALL ME if you have any questions about your medical malpractice claim or schedule your FREE consultation.